"It's such a grand thing to be a mother of a mother - that's why the world calls her grandmother." The Spirit of the Grandmothers group meets EVERY OTHER TUESDAY from 10:00am to noon. For more information, please contact us!  The Spirit of the Grandmothers group is also available to non-Métis participants!